Your network bandwidth needs extensive monitoring so that you get to know the loopholes that are prevailing in your network. 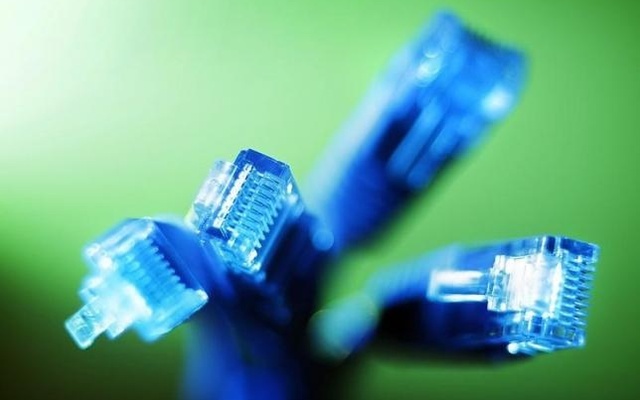 Tools For Monitoring Network Bandwidth is extremely important as due to monitoring the system admin is able to find out the speed of the network, find out the bottlenecks, the paid things regarding the network, etc. Apart from that monitoring also helps you as an admin to identify the suspicious and malicious practices which are done by other users which in turn can make your network speed slow down and also make your network insecure. So, with the help of monitoring, you will be able to find out such unethical practices and accordingly make your network stronger, powerful and secure. Whether your network is a home network or an office network, monitoring is required almost everywhere which means that wherever your network is set up, it should have good speed and of course, it should be properly protected from all kinds of suspicious practices. So, in order to carry out this monitoring function for your network, allot of tools or software’s have been developed which are available online and are totally free of cost as well. These tools have some really amazing features with the help of which you can get any type of information regarding your network bandwidth, whether it is the information regarding data or speed or security. With the help of this information, one can accordingly control and reset his network settings. 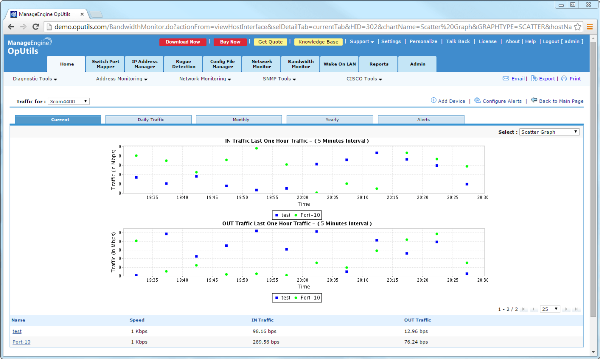 So, here we are providing you a list of these free Tools For Monitoring Network Bandwidth. This app or tool basically works in the background of your network bandwidth as it collects information regarding the data used for downloading and uploading files. The result of the information is displayed through a graphical representation with the help of which you can view your current network status. After downloading, it will show a real-time monitoring page where you can get the information and you can even get into more depth and get the deep information. 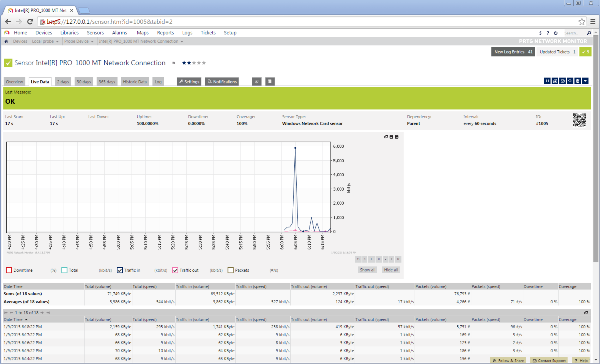 Apart from that, you can even export the results to CSV file and you get notifications when your data limits cross. 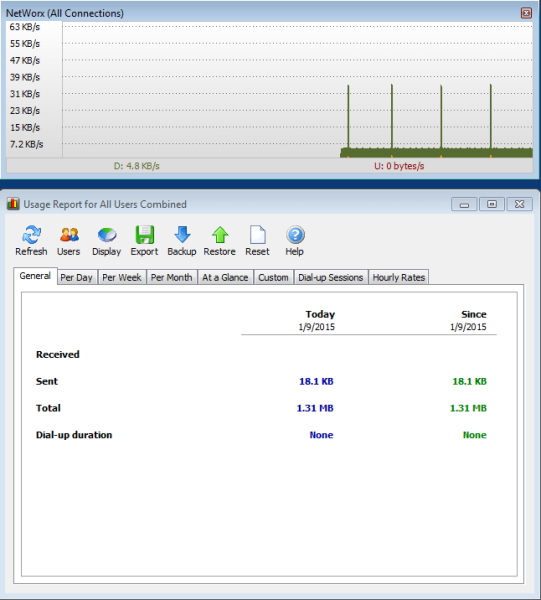 This tool or software is extremely light weight and is portable as well and just like the BitMeter it also provides you information regarding the downloaded and uploaded data on your network connection. This information provided by this tool is collective information of all network bandwidths. It has some amazing features like ping, traceroute, IMAP/POP3 and e-mail notifications.These are best Tools For Monitoring Network Bandwidth and quite easy to access as the icon of the tool is displayed right on your desktop screen. BandwidhtD is another background device app which monitors your network connection. This tool basically monitors your network’s TCP/IP network address usage and the results are displayed with the help graphs and tables. The information provided in graphs and tables is color coded so that understanding and reading the information becomes easier. This app requires Wincap version 3.0 for installation and you also need to unzip, edit and execute the install service batch file, only then you can get the services of the BandwidthD app from services.msc. This tool is a part of PRTG Network Monitor and is available online free of cost up to 30 sensors which are basically the websites, networks, interface, router, etc which are actually monitored by this tool or app. 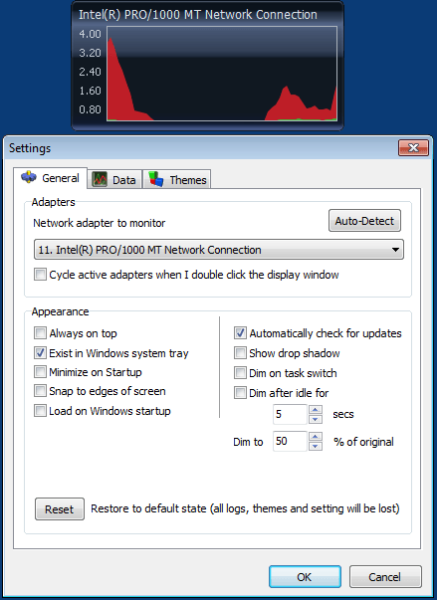 You just have to set up the sensor with monitor, and the tool automatically collects the information regarding your network usage and connection. The information collected can be viewed in the form of graphs, tables, and charts with the help of which you get to know your network’s incoming and outgoing traffic. 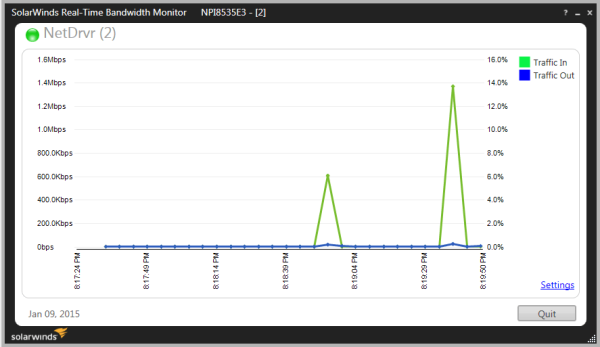 This is another extremely lightweight and portable tool to monitor your network bandwidth. It is available for both Windows and iOS devices. It has some really amazing features like proper alerts and notifications, supporting a wide variety of networks, providing updated reports regarding the usage which can be easily converted into different file formats like CSV, RTF, and HTM. The usage reports in this tool are also displayed in the forms of tables and graphs and you can download then tool with the help of installation wizard. 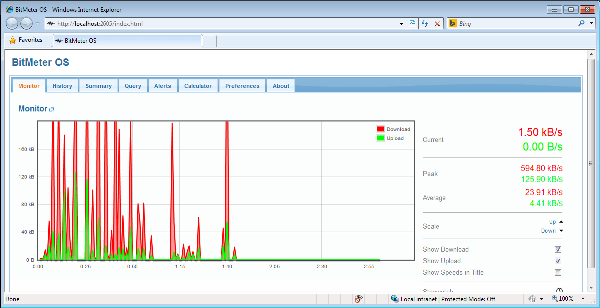 This tool is developed to monitor SNMP- enabled devices in real-time and the results are presented in the form of a user-friendly graph. The tool is quite simple and easy to use as you just have to enter your SNMP-enabled device after installing the tool and you are sorted. The tool automatically collects all the information regarding the data trafficking and usage on your network connection and then displays the reports in the form of a graph. This tool is manufactured by the OpUtils Suite and is totally free of cost. You can interface any kind of network on this tool and monitor its working as well. Mostly it supports SNMP devices and its features include, providing alerts or notifications, exporting files in XLS format and using an agentless model of operation for monitoring. This tool provides you daily, monthly and yearly reports regarding the usage of the data on your network connection. 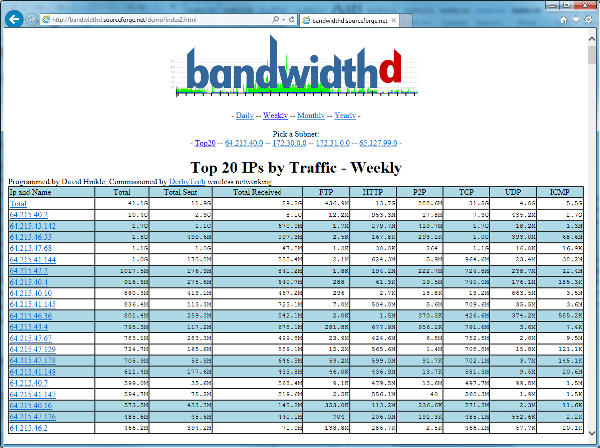 So, these are the top 8 free tools for monitoring network bandwidth.